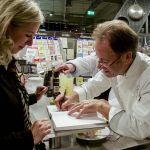 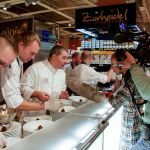 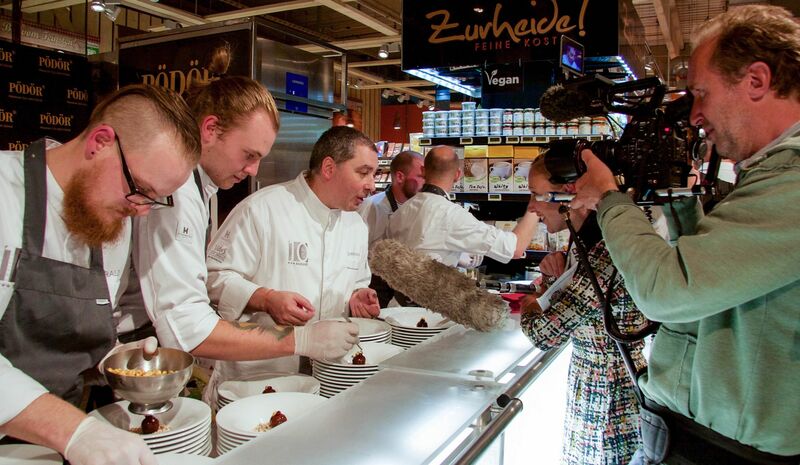 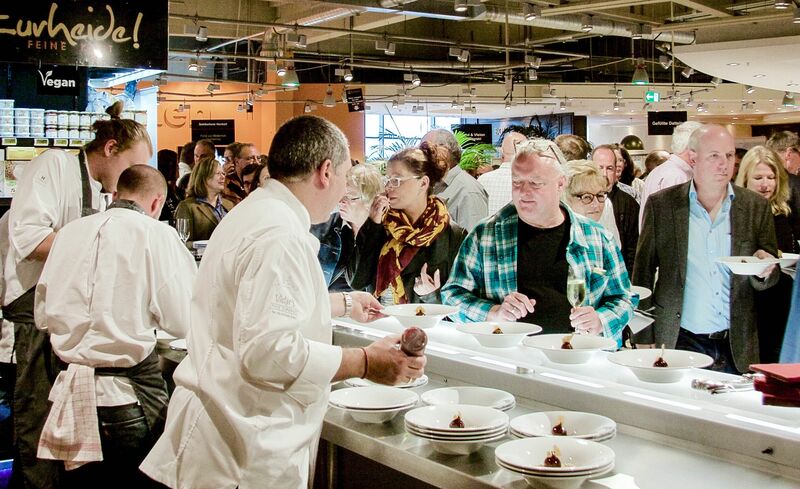 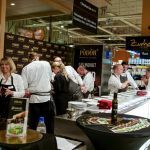 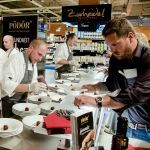 On 20th September, Düsseldorf’s high end Zurheide EDEKA hosted a grand gourmet festival, with a rich and unique culinary scene awaiting its 1500 guests on an area of no less than 60.000 square feet. 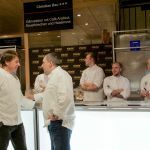 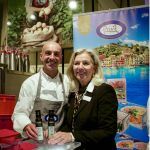 True to the motto of the event: “The best all in one place!”, more than 30 Michelin star chefs were invited to demonstrate their expertise, who came up with the most extraordinary and beautiful creations. 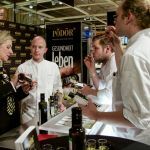 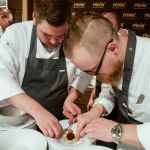 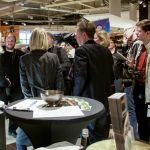 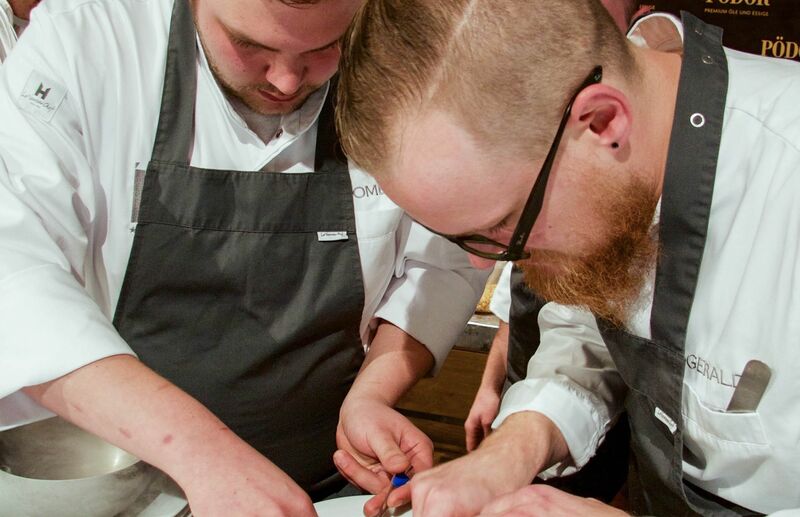 Among these creators was 3 Michelin star owning Christian Bau, Chef at Victor’s Fine Dining by Christian Bau, with Pödör Premium Oils and Vinegars as his partner. 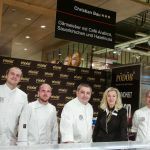 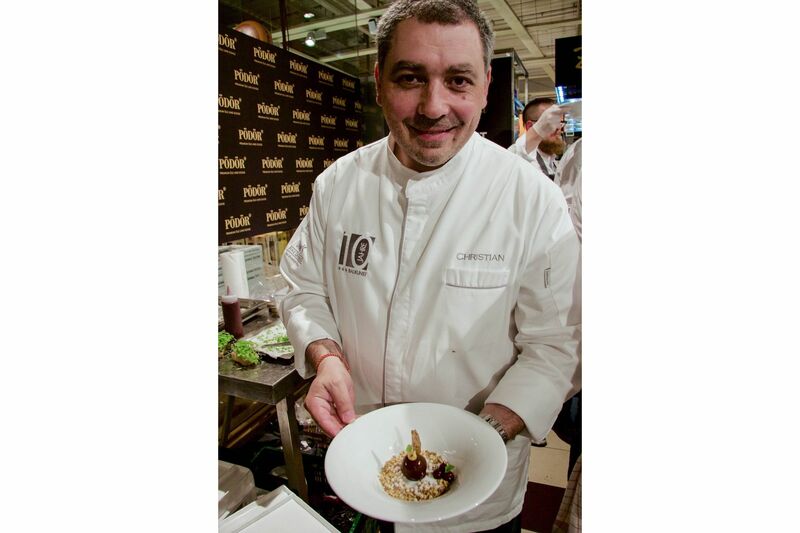 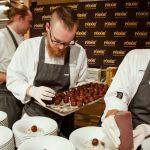 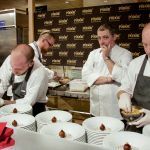 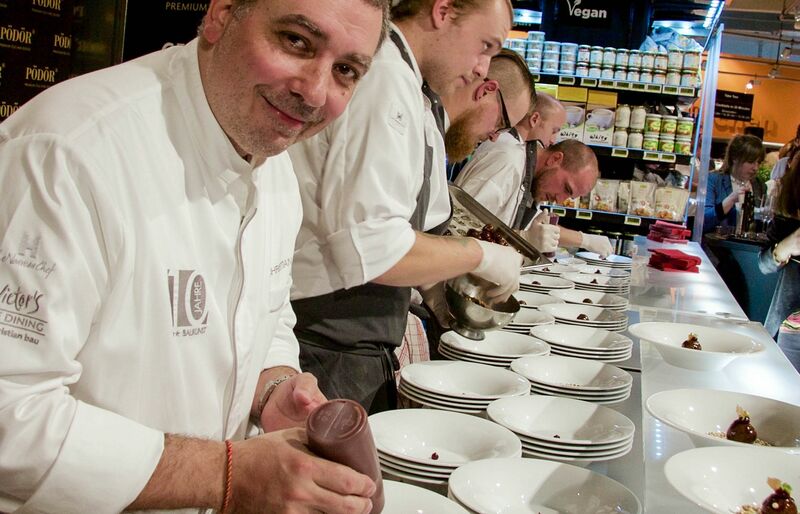 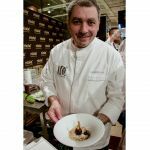 Christian Bau and his team had prepared for the gourmet summit with an astonishing quantity of 1200 portions of foie gras made with arabica coffee, sour cherry and hazelnut. 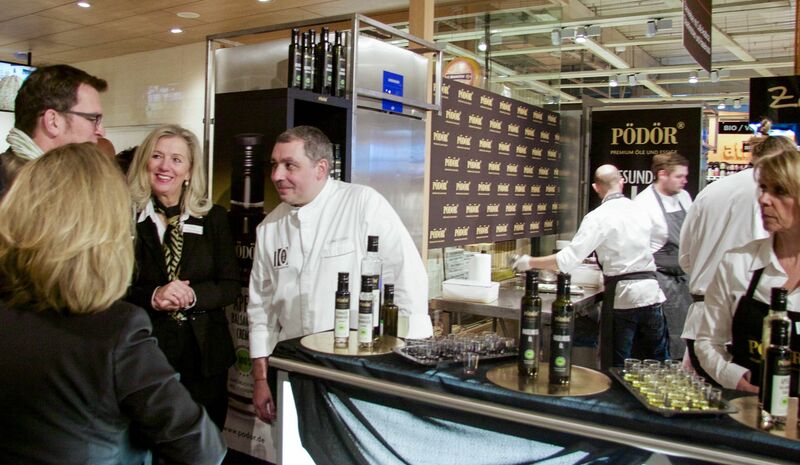 On their shared gourmet stand, the taste of the hazelnut was delightfully intensified by the cold pressed Pödör hazelnut oil, which is made from piedmont Tonda Gentile hazelnuts, the finest hazelnut brand in the world. 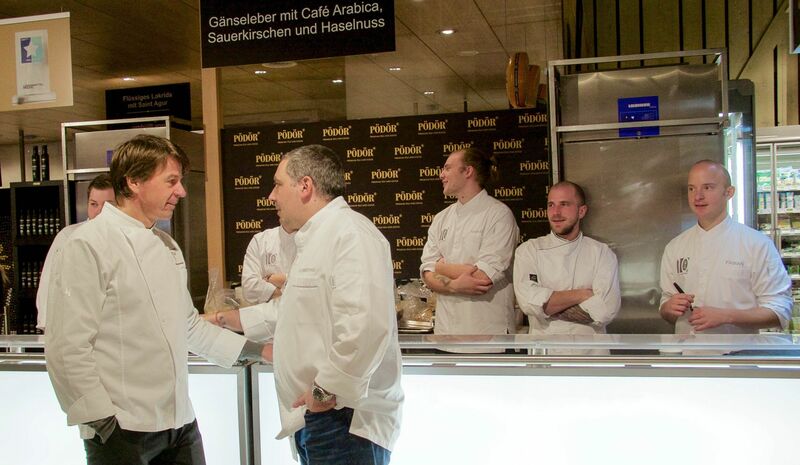 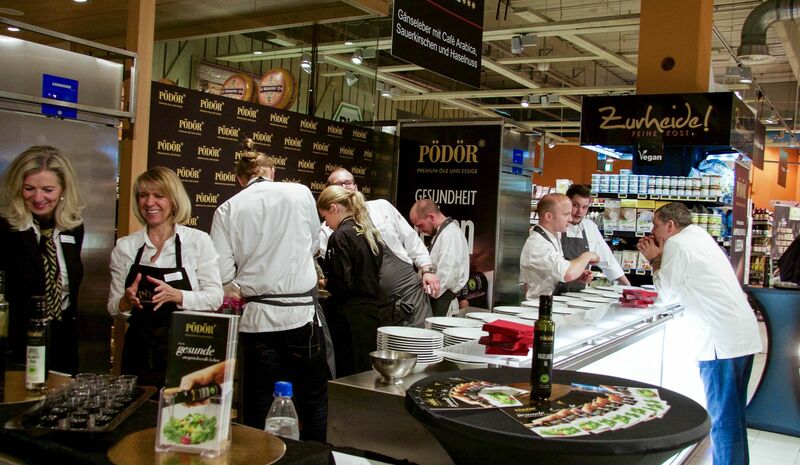 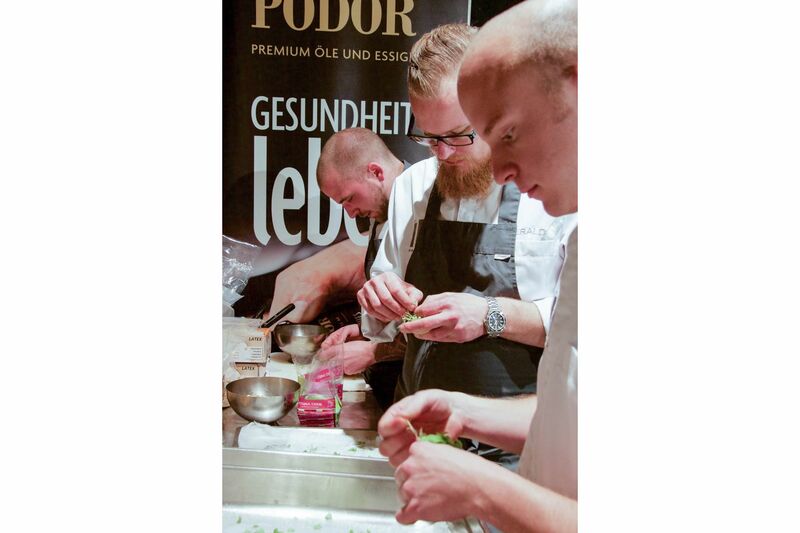 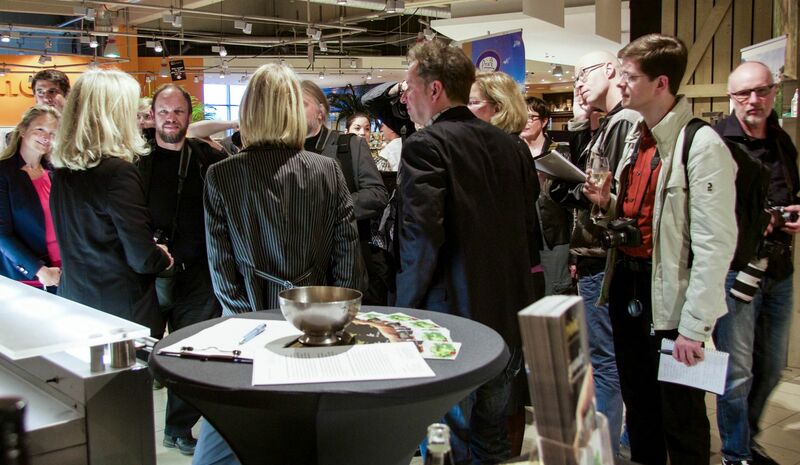 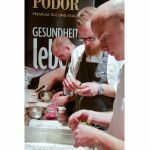 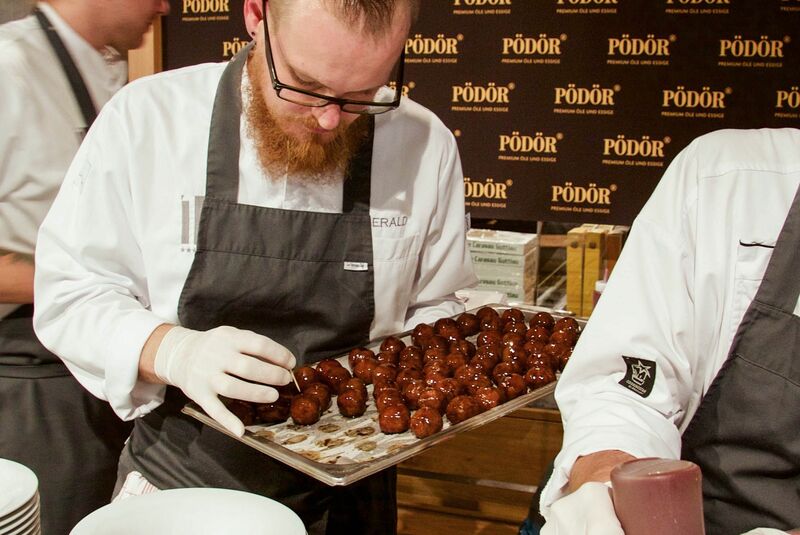 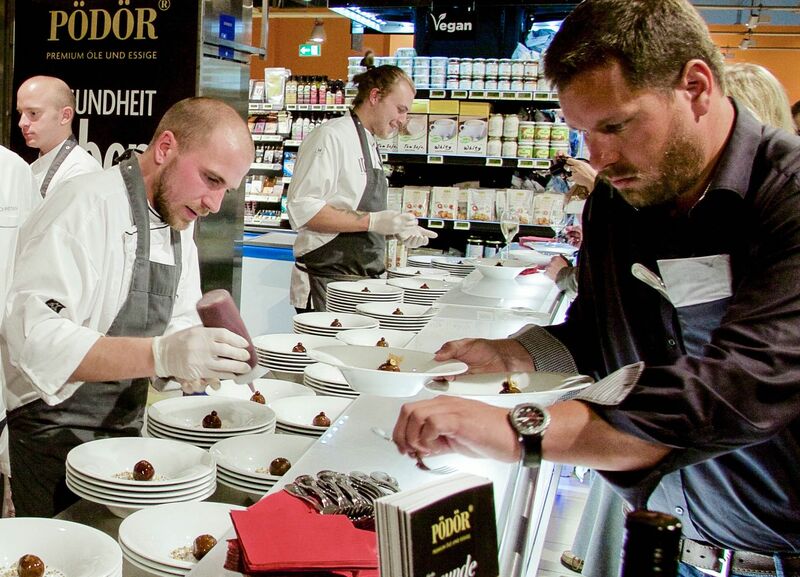 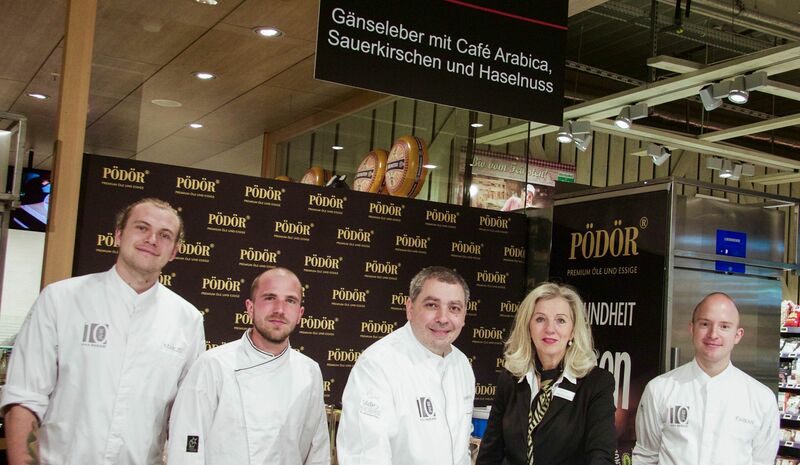 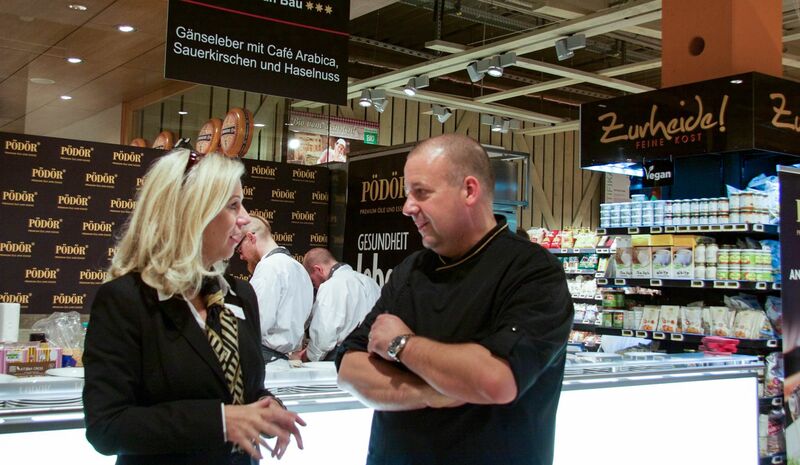 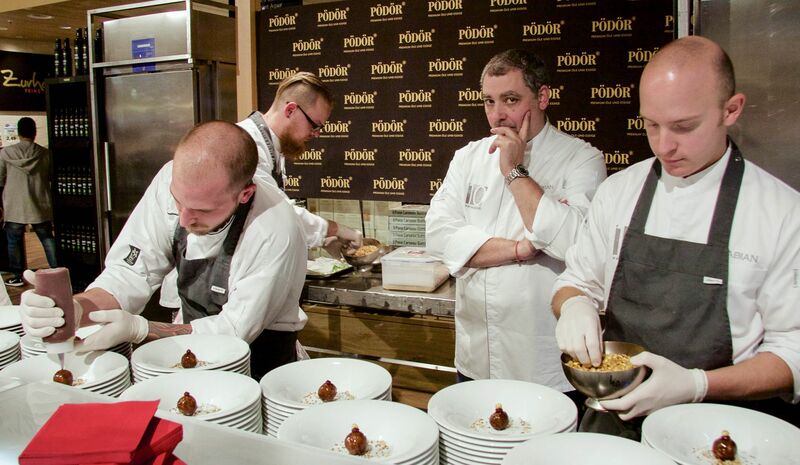 Countless of gourmet fans grabbed the opportunity to taste the full range of Pödör products. 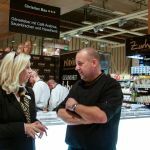 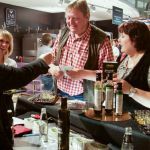 On the shelves of the Deli department of Zurheide Feine Kost, Düsseldorf, a multitude of top quality oils and balsamic vinegars are waiting for visitors eager to test them. 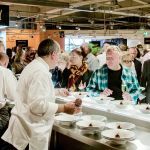 Plates and tasting glasses in place: Let the guests come! 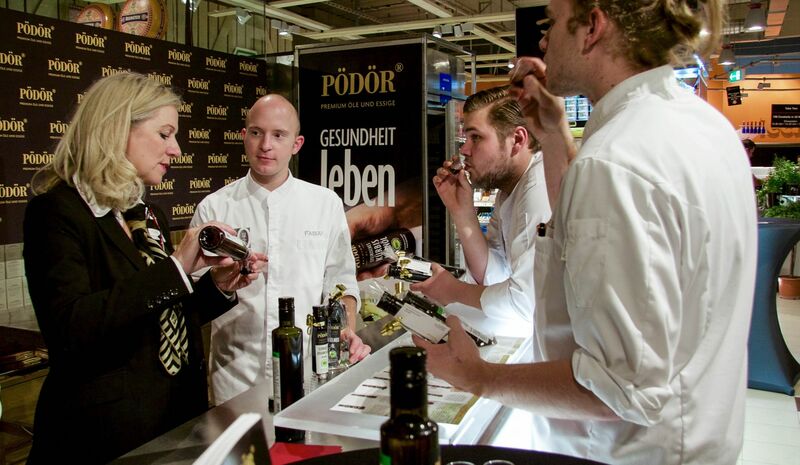 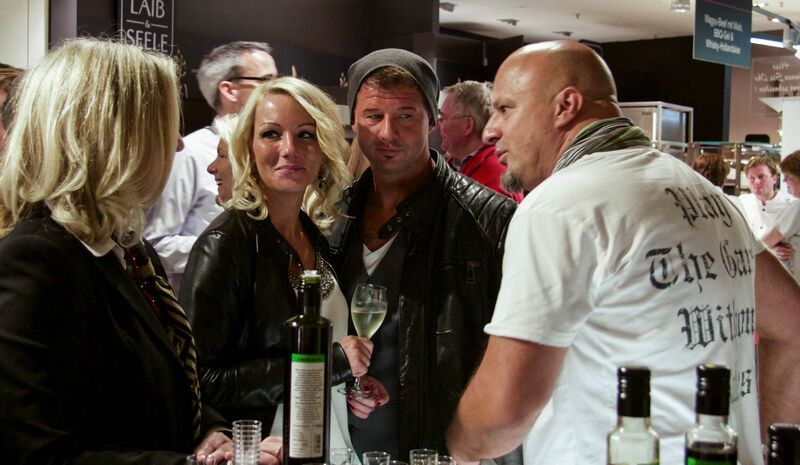 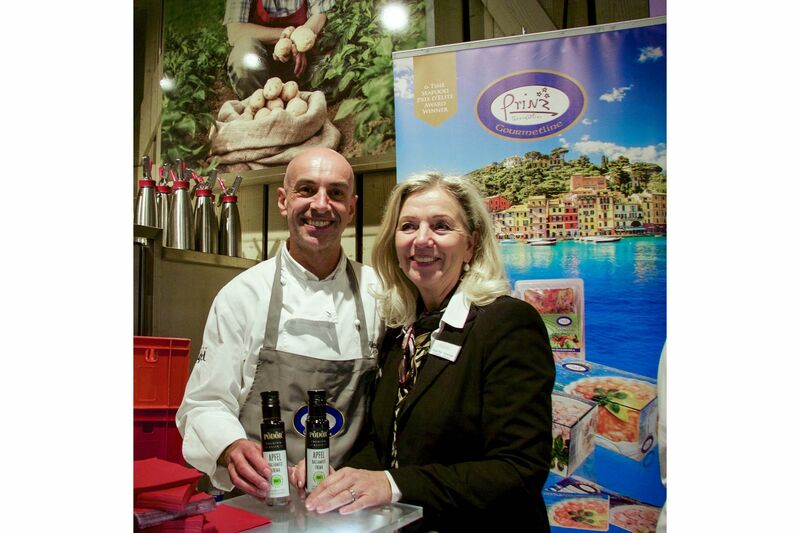 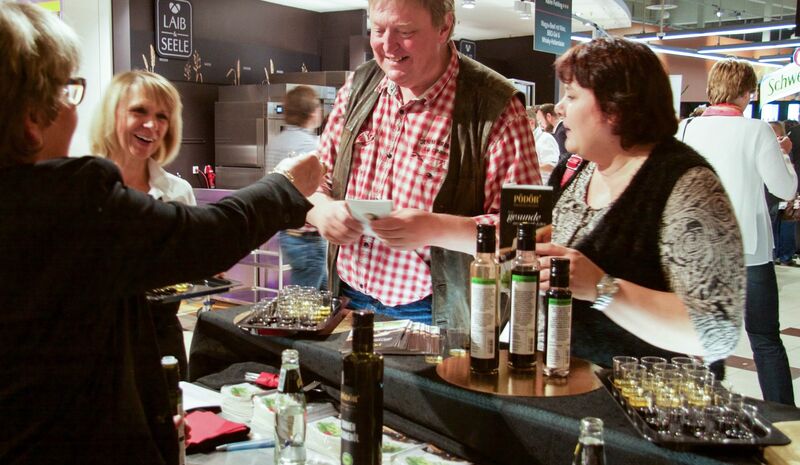 Detlef Steves reality show star testing the Pödör piedmont hazelnut oil. 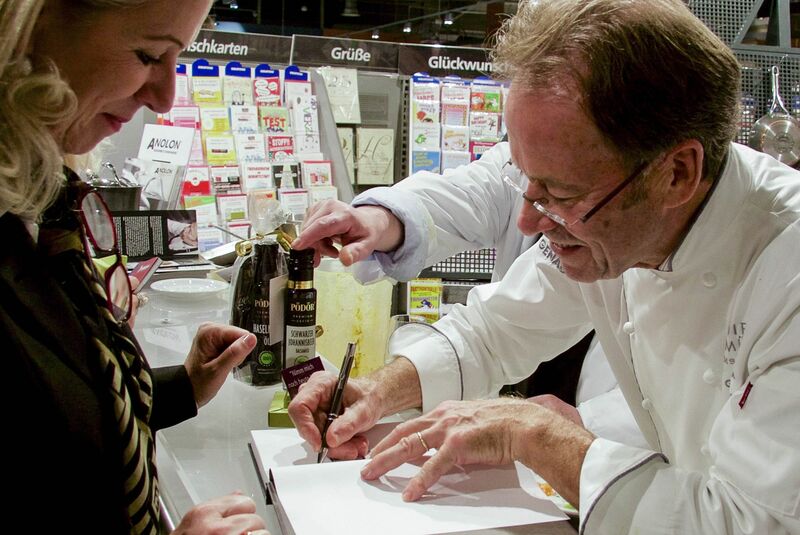 “You’ve made me your fan!” – he is saying. 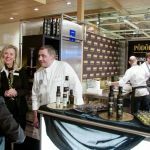 Press visit: To form a first impression, you need not only information but also a gulp of Pödör hazelnut oil made from piedmont hazelnuts. 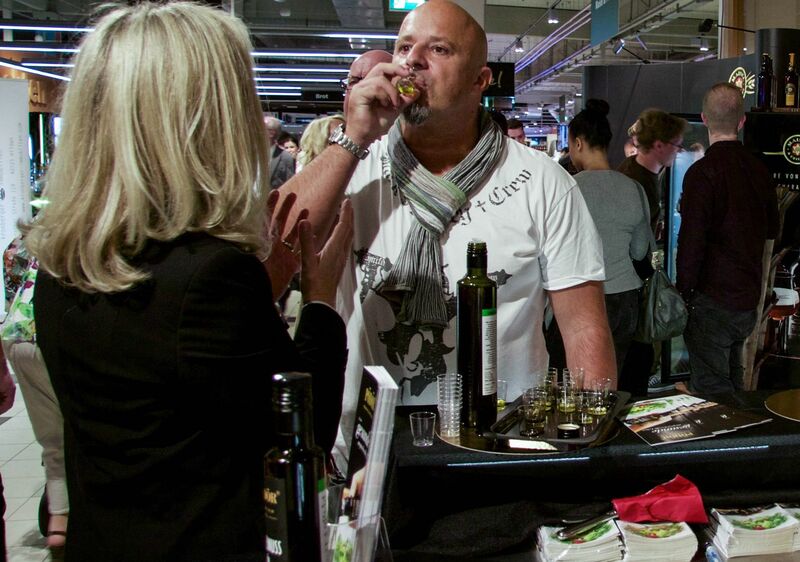 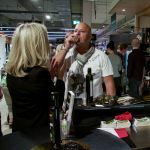 At the end of the day, the Christian Bau team finally found some time for tasting – and they were enthralled!